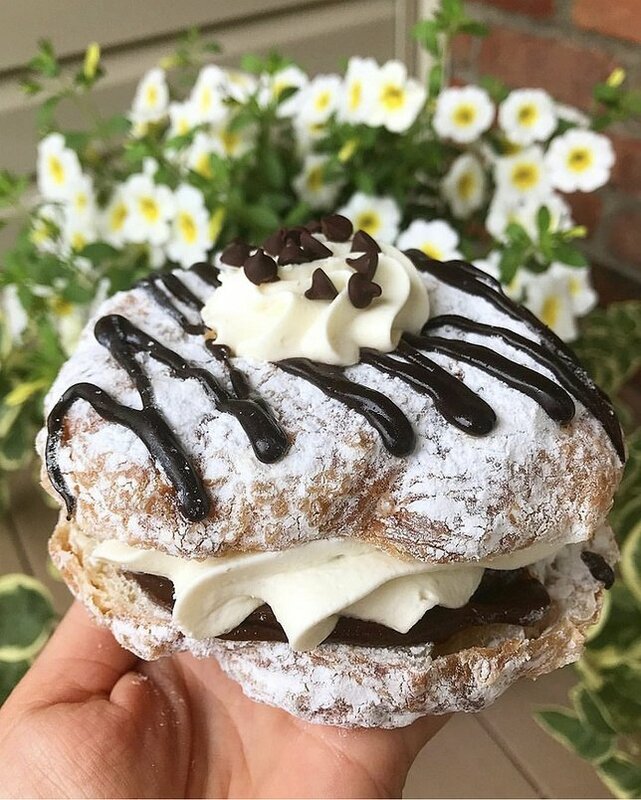 Alpine’s Italian pastries are serving Long Islanders with a daily taste of Italy. Some go-to signature items are their Pignoli cookies covered in pine nuts and almond paste, classic cannolis, dannolis, breads and beautifully crafted custom cakes. Alpine also offers custom designed favors for every occasion. Think monogrammed cookies, cake pops, cupcakes and beyond. Consistency has been key for this South Shore sweet shop, Stanley’s Bakery has been serving breads, pastries, specialty cakes and even some amazing breakfast sandwiches for more than 70 years. A classic favorite is their jelly doughnuts, which are known to sell out pretty quickly. Fondant may be pretty but customers who opt for buttercream aren’t settling at all. It’s light, fluffy and makes any occasion extra special. Don’t pass up on their quiches and our favorite, their fresh made bacon, egg sand cheeses on your favorite roll. This Italian kosher Long Island bakery is known for its massive selection of breads and sweet treats, but those in the chocolate family get extra love from customers. The rich brownies, red velvet cakes and chocolate mousse pies are always stellar choices. Other favorites are their ice cream cakes, jelly doughnuts, rainbow cookies and loaves of fresh baked pumpernickel bread. Blue Duck Bakery Café started in Southhampton in 1999 and people swooned over their fresh baked pies and crusty breads. These days, it’s a favorite on both Forks and beyond. People can pop into cafés in Greenport, Riverhead and Southold for a treat or find Blue Duck Bakery products in grocery shops from Montauk to NYC. Open in 1955, Patsy’s has been serving up Italian classics like cannolis to Italian St. Joseph’s pastries and stunning specialty cakes. Best of all? Patsy’s makes their own homemade Italian ices from signatures like Spumoni to classic cherry, the perfect treat to cool down with during the warmer months. Bring a box of assorted cupcakes home from Tilda’s and expect them to be gone in a Long Island minute. You can enjoy flavors like their red velvet, black and white. Creamy peanut butter, chocolate fudge and most popular their strawberry cheesecake. Other specialities are their lovely tiramisu, chocolate cream pie and eclairs. Subject: LongIsland.com - Your Name sent you Article details of "Six Long Island Bakeries You Can’t Pass Up"